“The first time I held my boy after delivery, it was really devastating. I wept for days,” says Elfrida Osuma, mother of a child who was born without limbs. She was probably crying because she knows that living in our society without a body part, or any kind of disability, is very challenging. Perhaps even more so for children. 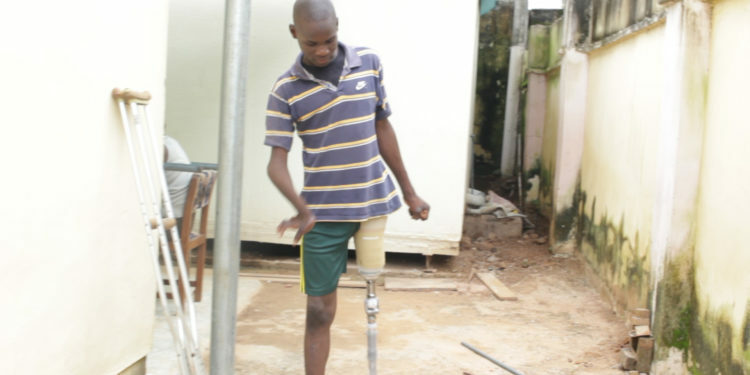 The cost of getting an artificial limb or prosthesis can be very high – a prosthetic limb costs an average of N1 – N1.5 million to buy and fit. And then there is the stigma! So the family of these children often end up relying on others for help, sometimes with measures as desperate as begging. Fortunately, Stanbic IBTC has undertaken to provide some children with prostheses as part of its #Together4ALimb Corporate Social Investment initiative. As well as the artificial limbs, Stanbic IBTC also gifts each of them with educational trust funds to ensure they get quality education. With 5 children helped last year and another 8 this year, thirteen children now have the benefit of mobility that we too often take for granted. And beyond the provision of prostheses and scholarships to beneficiaries, Stanbic IBTC is trying to raise awareness and encourage others to pitch in to boost access to prosthetic limbs by those who need them. 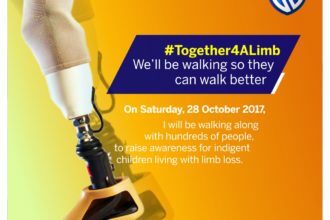 Last year, the financial institution organized a charity walk in Lagos to draw attention to children who need limbs. 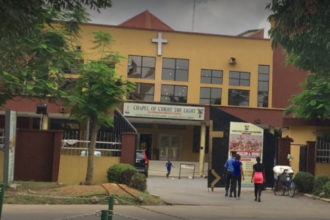 “The event (the charity walk) will go down in history as one of those with the most profound impact on the children of this country,” said Mrs Bolanle Ambode, wife of the Lagos State governor, who flagged off the 5-kilometre walk.